The 2018 May bank holiday weekend saw Impulse Decisions entertain a select group of top clients in the South of France for our Monaco Grand Prix Experience. Our guests arrived on Friday 25th May and enjoyed an evening of leisure on their first night. Their accommodation for the weekend was the newly refurbished 5* Grand Hyatt Martinez Hotel, Cannes, which boasts 409 luxury rooms and the brand new ‘Le Jardin du Martinez’, a lush garden terrace and restaurant. 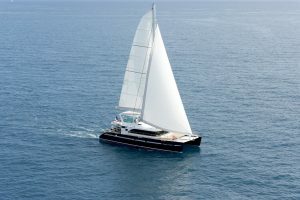 On the Saturday morning, a handful of guests boarded a private transfer and headed down into Monaco for a day watching the Qualifying race for Sunday’s Grand Prix. 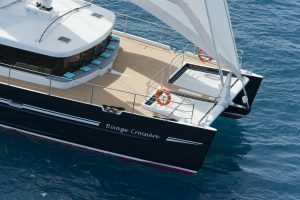 Other guests chose to enjoy a luxurious boat cruise down the French Riviera on the ‘Rivage Croisiére’, a stunning 22m catamaran. Guests had plenty of time to relax in the sun and enjoy a few glasses of champagne in the pleasant 25-degree heat. The cruise featured a champagne reception, followed by canapés and a free bar, which was a welcome addition for guests. 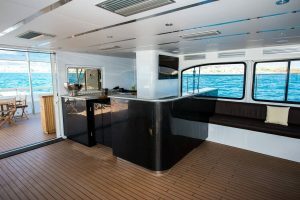 Captain José, also made time for a stop-off so guests aboard the boat could have a swim in the crystal-clear waters of the French Riviera. Sunday Morning saw all guests make the short trip to Monaco via private transfer for a day at the Grand Prix. Although the weather wasn’t quite as good as the Saturday, excitement levels were sky high. Seated in the main grandstands, guests had a fantastic view of the track, positioned next to a tricky chicane which saw plenty of racing action. 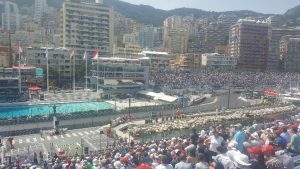 From their Grandstand seats guests also enjoyed stunning views of the city and marina and the impressive selection of multi-million pound yachts moored up by the side of the track, which made the experience even more breath-taking. 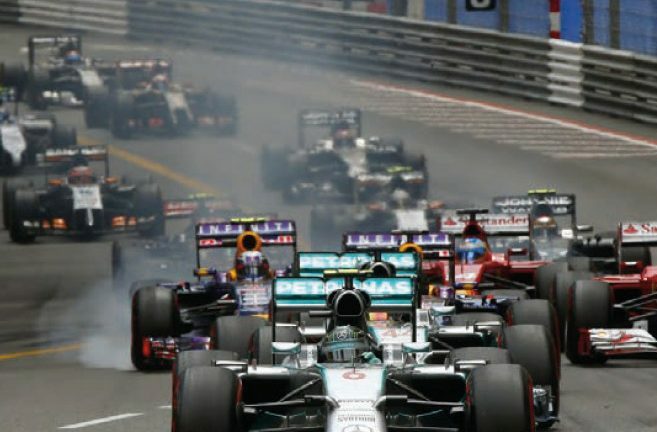 After 74 exhilarating laps and an exciting two hours of racing, Red Bull’s Daniel Riccardo was crowned champion of the 2018 Monaco Grand Prix. Following the race, private transfers were available for guests to take them back to the Martinez for one final relaxing night in the 5* hotel before departing the next day. Although some guests opted to stay a few hours longer in Monaco to soak up some of the post-race night life! Thanks to all our guests that joined us for a fantastic weekend. You can view all the best photos from the trip on our Facebook Page here. To find out more information on next year’s trip, or our other experiences, contact Tom Hesketh – tom@impulsedecisions.com.